They are found on muddy shores and in the in shallow water along wetlands, ponds and riverbanks. 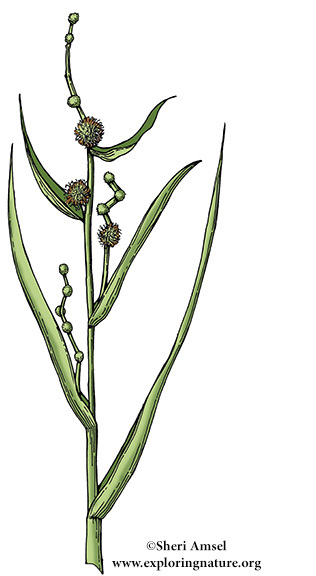 These tall plants are oftem mistaken for sedges because of their spiky flowers or grasses because of their tall grass-like leaves. They are wetland wildflowers with small bulbous flowers clasping the stem. Leaf Type: Long, narrow, entire (smooth edged), stiff and 3-sided.